Christmas Breakfast: we need something easy, delicious and something we can prep the night before. 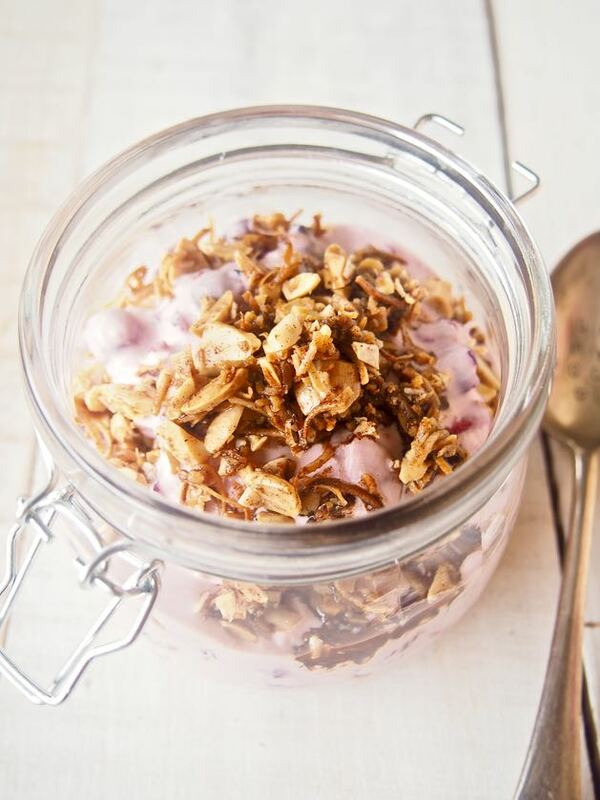 Welcome delicious easy paleo breakfast parfait! This recipe is a winner! The whole family is going to love it! It’s so colourful, oh so pretty and makes for awesome Instagram shots! The best bit is that you can prepare it the night before, then in the morning do all the assembling/parfait layering! Perfect for a busy Christmas morning (or any morning!). 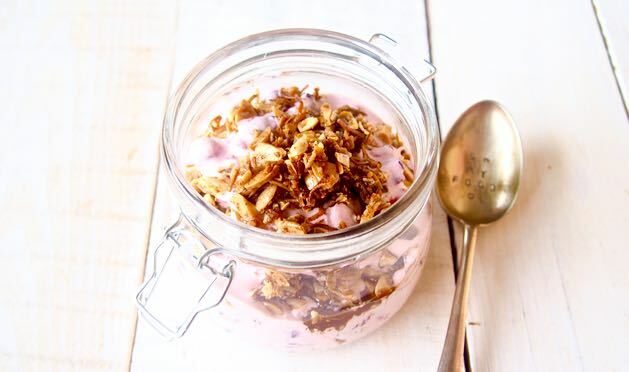 Let us know if you make this easy paleo breakfast parfait on Christmas Day! We’d love to see your Merry(maker) Christmas foodie pictures! Use #themerrymakersisters so we don’t miss it! P.s thinking about kick starting your health journey this year?! Then join our Make Life Merry 4 week Program! 4 week meal plan, brand new recipes, shopping lists, expert advice and an online community that is buzzing good vibes! We’d LOVE to welcome you in! 1 cup fresh or frozen (thawed) cranberries or any berry! In a large bowl mix the macadamias, almonds, coconut, coconut oil, cinnamon and nutmeg. Spread this evenly on to the prepared baking tray and place in to the oven for 10 minutes. Allow to cool. In a blender whiz the yoghurt, berries and vanilla until just combined (you could also mash it together!). Now it’s time to layer it all up! Alternate layers of yoghurt and nut mix. This is so easy and delish! If you're prepping the night before. 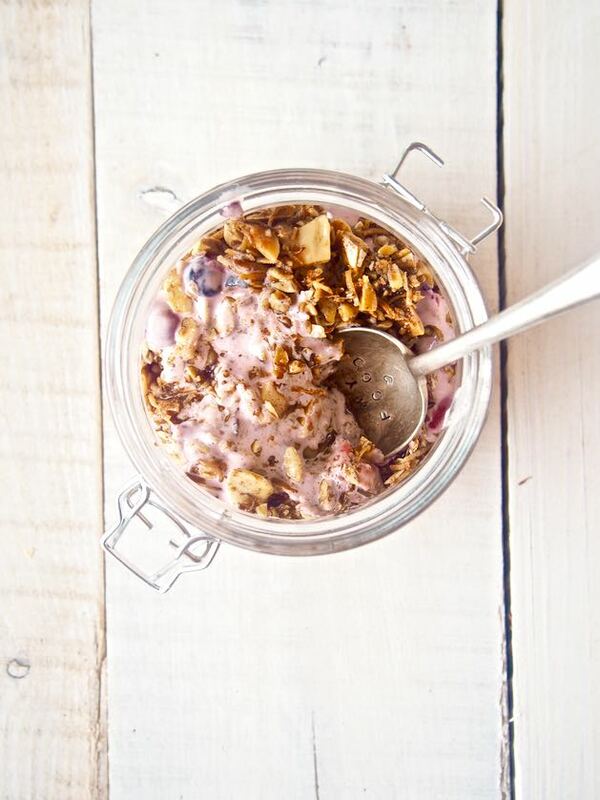 Keep the nut mix in an airtight container and yoghurt/berry mix in the fridge. PLUS you can use what ever nuts you like!